East Hampton Sandwich Co. is open on Oak Lawn Avenue. 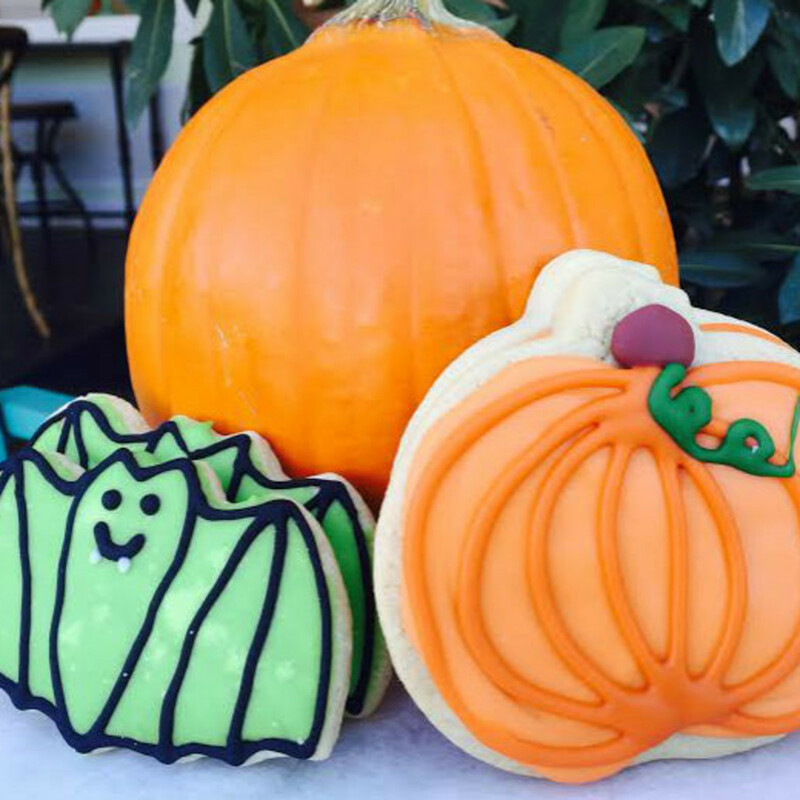 Photo courtesy of East Hampton Sandwich Co.
For this roundup of Dallas-Fort Worth restaurant news, the usual openings and closings are eclipsed by menu announcements and pumpkin tales. 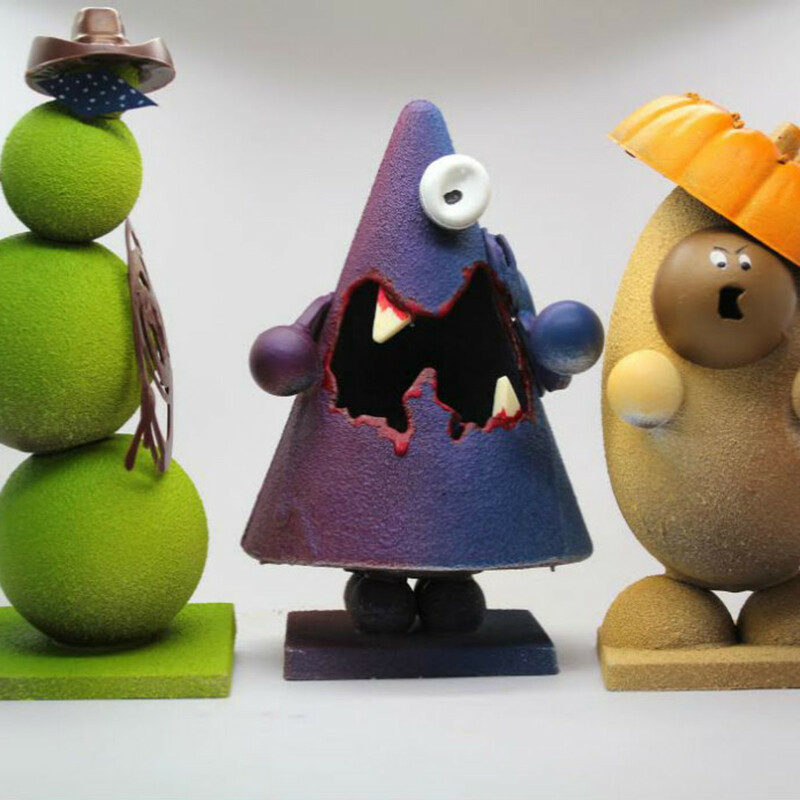 Everyone's doing autumnal menus and pumpkin dishes. Many of these are available for a limited time only. Go get 'em. The Original Pancake House is opening a branch in Irving, in the old Johnny Carino's space at 635 and MacArthur Boulevard. There are currently six OPHs in the Dallas area. If you've had their Dutch baby pancake, if you've had their mushroom omelet topped with mushroom sherry sauce, if you've had their cherry kijafa crepe, then you know that six branches is not enough. Good news outside of DFW: Their future plans include a branch in Houston in summer 2016 and a location in San Antonio later in the year. East Hampton Sandwich Co. has opened its branch at 3888 Oak Lawn Ave., in Turtle Creek Village, in the old Good Eats space. EHSC specializes in sandwiches and salads, including its famed lobster roll. The first Dallas-area branch opened in Snider Plaza in October 2012, and a second branch opened in Plano at the Shops at Legacy in 2013. Rockfish Seafood & Grill will open a location in Frisco, at 9179 Dallas Parkway. This will follow the new more accessible and contemporary design that debuted at the Lewisville store in 2014, and will be the company's design moving forward. Rockfish has 12 restaurants in Texas, 9 in Dallas/Fort Worth, two in Houston, and one lonely branch in Lubbock. 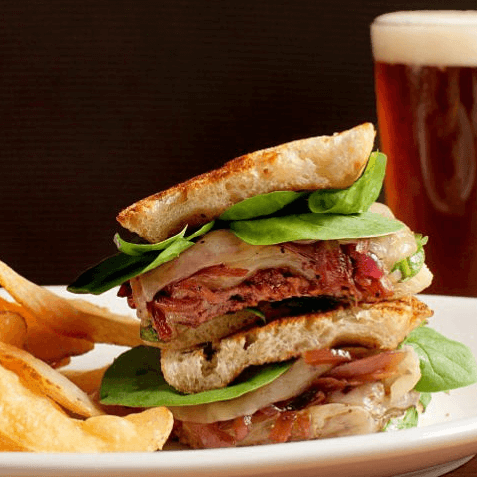 World of Beer is introducing a fall menu. Huh, how do you like that, a craft beer place getting all foodie. Dishes include Dogfish Head sliders, featuring pork and beef meatloaf with gravy made with Dogfish Head Indian Brown Ale; skillet cornbread, cooked in a cast-iron skillet, topped with arugula and roasted corn; Colorado chili with steak, chorizo, and red bean chili; and a pimento cheese dip, served with celery and garlic toast. Malai Kitchen is serving wine flights. 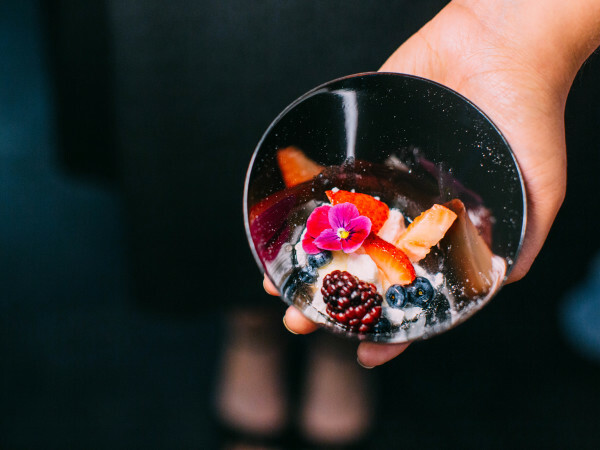 Owners Braden and Yasmin Wages are passionate about debunking the myth that wine is difficult to pair with Southeast Asian food. The price is $22 for four red or white wines (3-ounce pours), and combines wines from Bordeaux, Spain, California, and Australia. 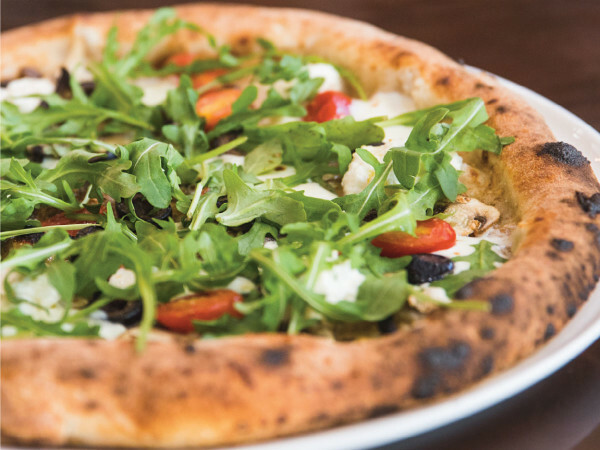 True Food Kitchen recently released its fall menu with dishes such as a seasonal vegetable board, kale crunch salad, bison short rib, and butternut squash pizza. 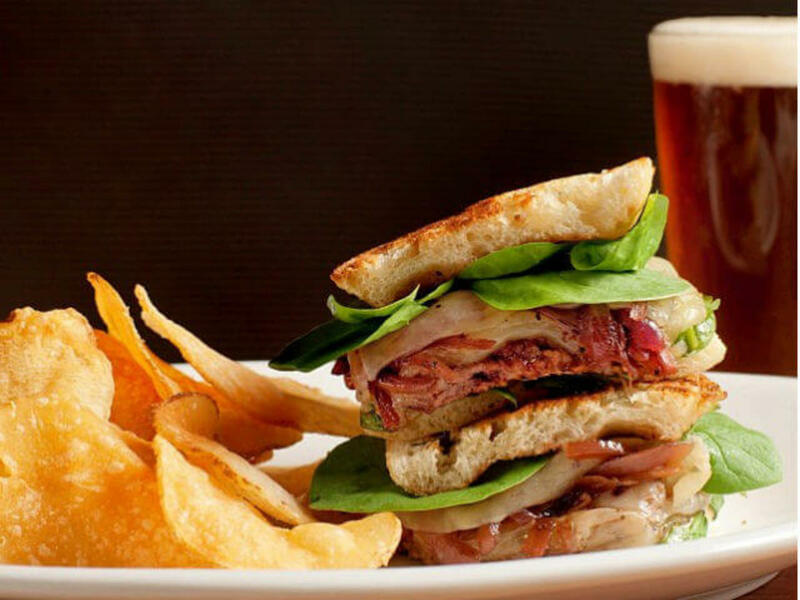 Pinstack has introduced a fall menu, with dishes such as a burger topped with gruyere and jalapeno bacon marmalade, chicken wrap, autumn wedge salad, and more. The Mitchell has a new lunch menu that is tres French: French onion soup, country-style pork terrine, tuna Nicoise salad wraps, quiche Lorraine, ham-and-cheese croissant sandwich, grilled chicken paillard, $2 oysters. And for dessert, beignets, creme brulee, chocolate truffles. Do you have to wear a beret to eat there? 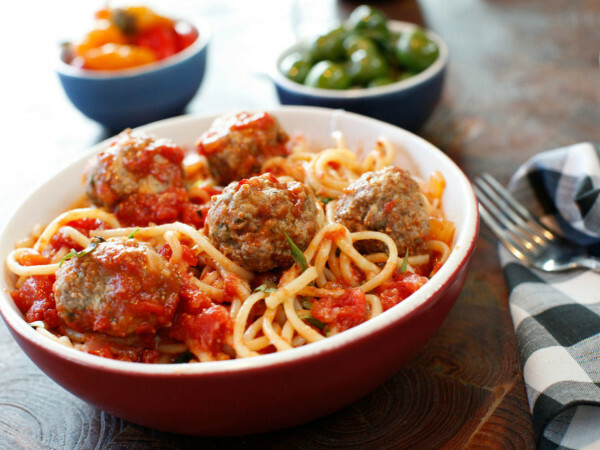 Madrina now offers lunch, Tuesday-Friday from 11:30 am-2:30 pm. The menu includes taco de chivo, duck confit enfrijoladas, pozole, and chicken paillard. Paul Martin's American Grill is offering Sunday brunch, in a prix fixe mode, which is unusual for brunch. The $22 price includes blueberry bread, fruit, and entrée from these choices: French toast, eggs Benedict, and two omelets, one with bacon, the other made of egg whites, with spinach and mushroom. Henry's Majestic is doing a special Halloween menu through October 31. Dishes include butternut squash fritters with pumpkin puree; beer-braised ribs with sweet potato and kale; and a blood orange tort. There are also some special cocktails, priced at $6.66, including one called Blood in the Water with mezcal, citrus, and beet tea reduction. 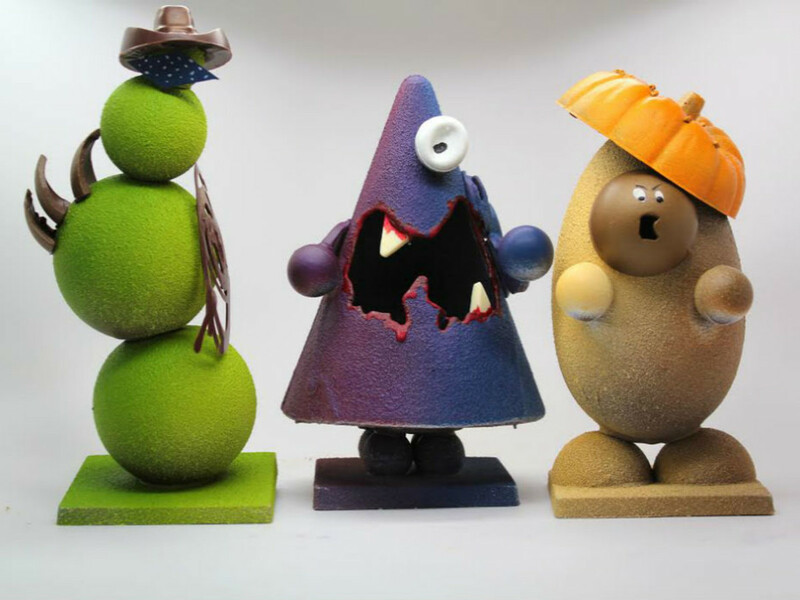 Kate Weiser Chocolates has chocolate Halloween monsters and stuffed pumpkins, plus bon bons and chocolate pears. A chocolate pumpkin filled with pumpkin truffles, chocolate-covered apricots and orange peels, espresso beans, and toffee bits is $24. Society Bakery has iced sugar cookies and a cupcake. 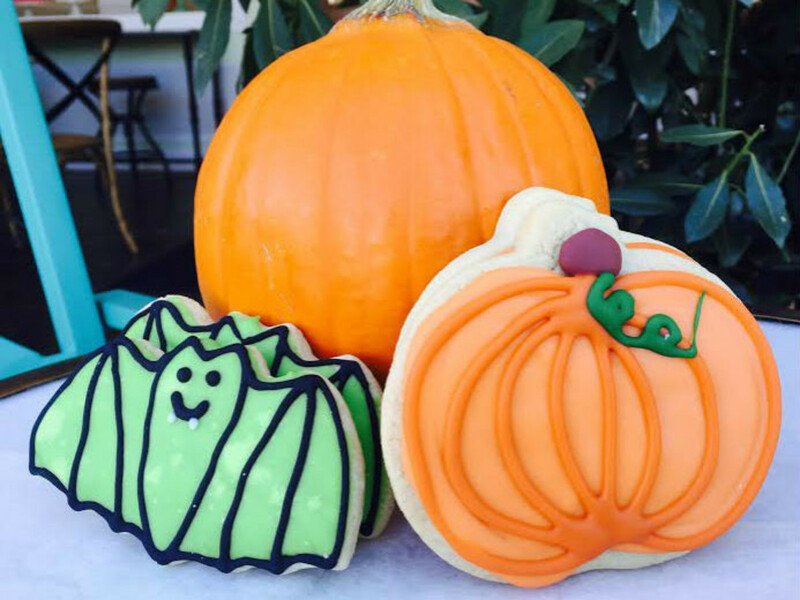 Pumpkin cookies include witch hats, ghosts, zombies, and bats, $3.25-$4. There are also orange and chocolate cupcakes for $3.50. Joe the Baker has an intriguing lineup of new macaron flavors including caramel, maple, pumpkin pie, butternut squash, salted pecan, corn husk, butterscotch, bubble gum, and dark chocolate. Quick breads and Halloween "mac o'lanterns" are available via his website or via pickup at the Coppell Farmers Market, Saturdays from 8 am to noon. Celebrity Café & Bakery has a new menu with gluten-free variations of its existing signature products and other delicious goodies. Working closely with a registered dietician and nutritionist, the bakery team spent months properly tweaking 15 of Celebrity’s signature items to add no gluten. 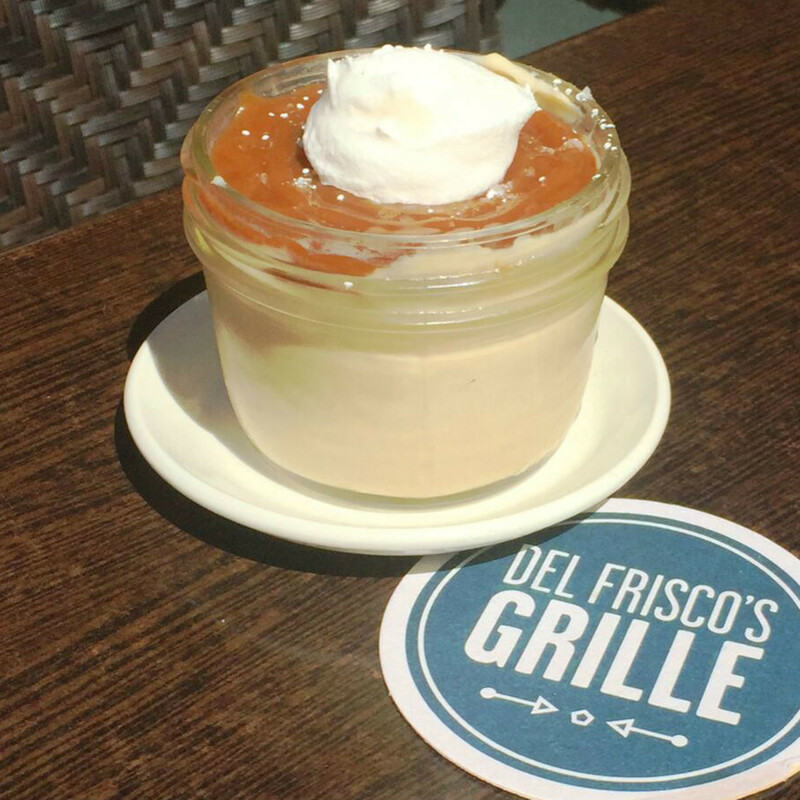 Del Frisco's Grille has a new butterscotch pudding dessert, served in a glass jar, big enough to share or not. 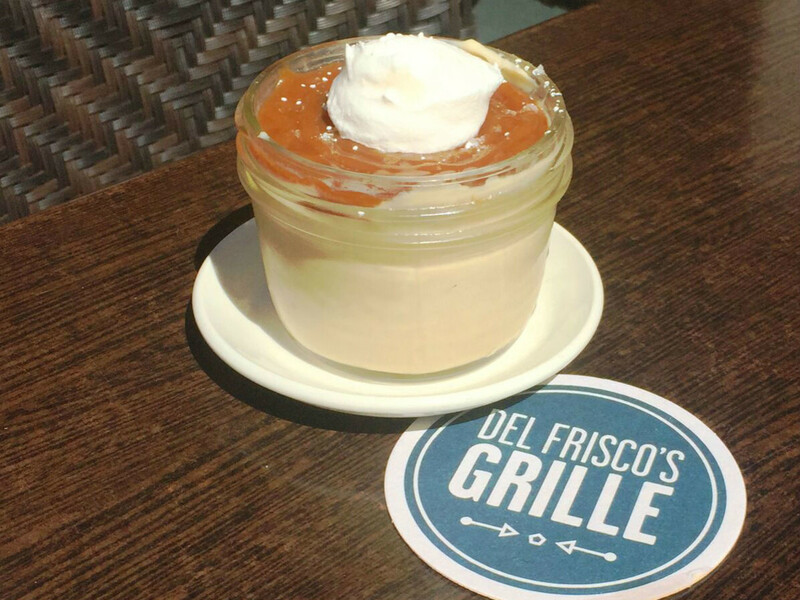 Although, have you ever tried sharing a dessert in a glass jar? It's really kind of awkward. 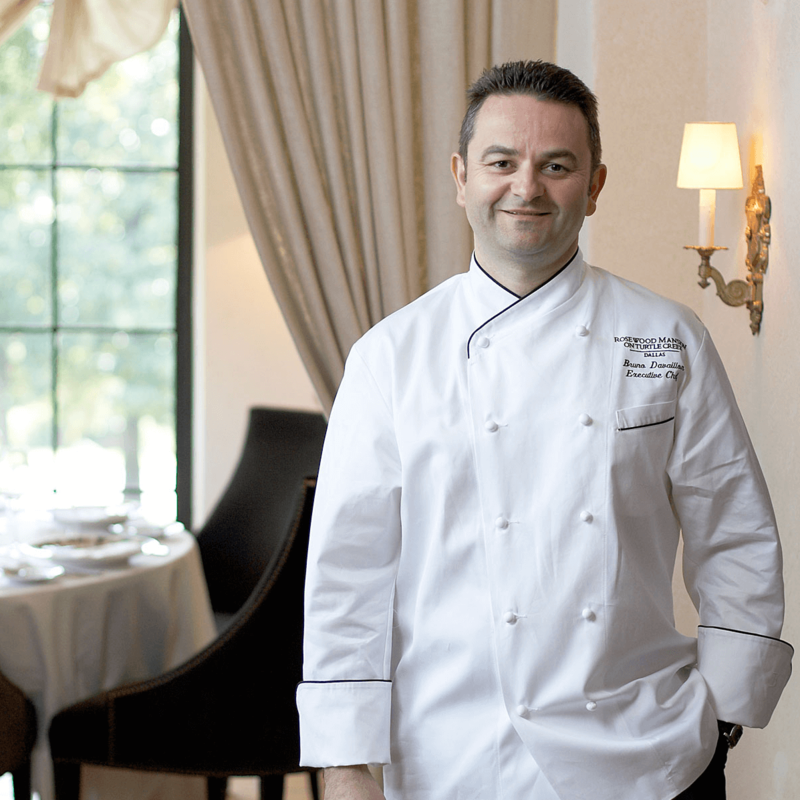 Bruno Davaillon will leave the Rosewood Mansion on Turtle Creek at the end of November. 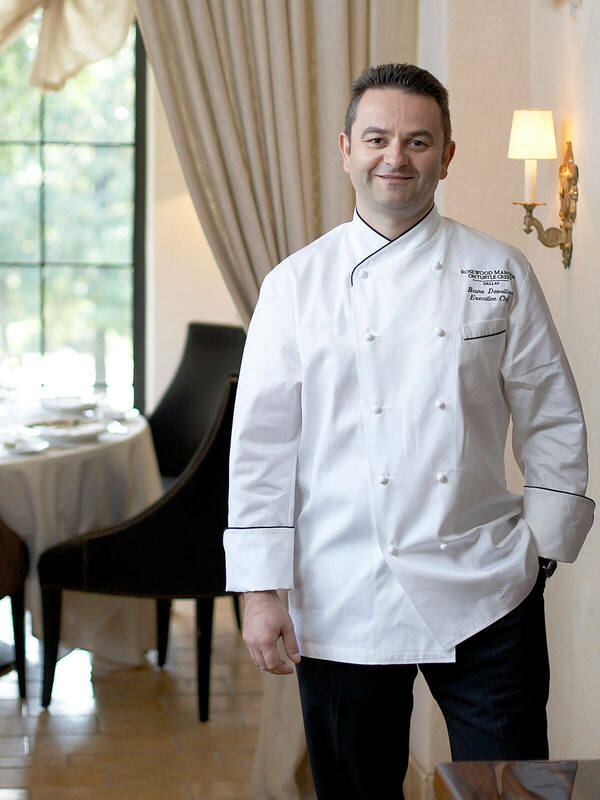 He's been their executive chef for six years. He told SideDish he could not divulge his future plans, but that he would do so in the coming weeks. Ooooh, intrigue.